When discussing rhinoplasty, it is common to hear surgeons and patients refer to open and closed rhinoplasty, which are the two surgical approaches to this type of plastic surgery. Open and closed rhinoplasty simply refers to the initial approach of the surgery in which the surgeon gains access to the underlying nasal structures. In a closed or endonasal rhinoplasty, the surgeon performs all revisions through the nostrils. In an open or external rhinoplasty, the surgeon creates a small incision across the columella, the fleshy area between the two nostrils, and then lifts up the nasal skin to gain access to the underlying structures. There are advantages and disadvantages to both approaches. 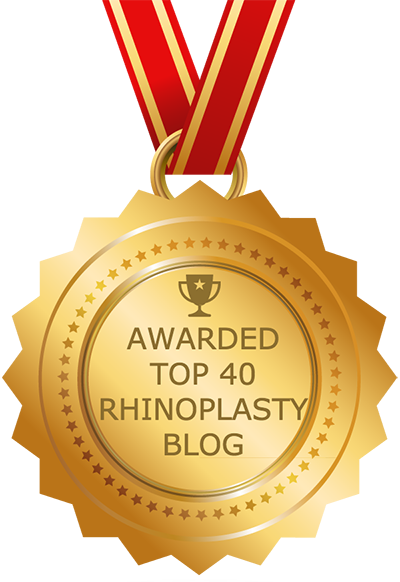 This guide will help you better understand the closed rhinoplasty approach. To learn more about open rhinoplasty, please view our Guide to Open Rhinoplasty. In contrast to an open rhinoplasty, a closed rhinoplasty does not require an external incision to be made. After the patient has been anesthetized, the surgeon performs the surgery by inserting tools through the nostrils into the nasal passages. During the surgery, all incisions are made within the nose, thus there is no incidence of external scarring associated with closed rhinoplasty. Surgeons who perform closed rhinoplasty must have a comprehensive and thorough understanding of the nasal structure, as they will not be able to openly view the underlying structure during surgery. Surgeons who perform closed rhinoplasty are able to visualize the underlying structure while making changes. While the scars associated with open rhinoplasty are typically minimal, some patients and surgeons are concerned about external scarring that can occur with an open rhinoplasty. A main advantage of closed rhinoplasty is that there is no external incision, thus no incidence of external scarring. A closed rhinoplasty typically takes less time to perform than an open rhinoplasty, which means the patients will be under anesthesia for a shorter period of time. For some candidates, this is an important distinction. Unlike open rhinoplasty, closed rhinoplasty does not provide the surgeon with unimpeded visibility of the underlying nasal structures. Rather the surgeon must make changes entirely through the narrow nostril openings. This may limit the complexity of revisions being made in a closed rhinoplasty, making it unsuitable for more complex cases. Closed rhinoplasty also requires the surgeon to stretch the nasal skin to gain access and make the required changes. This can distort the nasal cartilage during surgery, making it difficult for the surgeon to visualize the nose in its natural state. There are many instances in which a closed rhinoplasty can provide precisely the results required by a patient and many surgeons are highly skilled at performing this challenging type of rhinoplasty. Not all surgeons can perform both types of rhinoplasty, but it is unlikely that a surgeon who is not comfortable performing closed rhinoplasties would recommend this approach to his patients. During the initial consultation, the plastic surgeon will make a recommendation about which approach is most suitable for that unique patient, taking all factors into consideration.